KAMPALA – City tycoon Sudhir Ruparelia has on Wednesday challenged the unfair closure of his Crane Bank Ltd, putting its buyer dfcu Bank on the spot and calling for the changes in the leadership at the central bank following the gaping anomalies. Mr Rupareria was together with his co-directors at Crane Bank Ltd led by the then Board Chairman, Joseph Biribonwa appearing before the Parliament Committee on Commissions, Statutory Authorities and State Enterprises (COSASE) and accused Bank of Uganda of not doing enough to save Crane Bank Ltd from the financial challenges it suffered but rather chose to have it taken over and sold controversially. The directors admitted that indeed the bank was undercapitalized but that it had taken relevant measures to turn around its distress which the Central Bank neglected. Mr. Biribonwa told the committee that the shareholders took a four-pronged approach to try and resolve the liquidity crisis, including; more aggressive debt recovery, enhanced search for equity partners, inter-bank borrowing and borrowing from the central bank. “CBL sought a loan from BOU and offered its branches as security, however, they were rejected by BoU. Meera Investments Limited then offered Kampala Boulevard as one of the third-party securities for securing the loan to CBL,” Mr. Biribonwa said. Biribonwa said that on October 17, 2016, the central responded and offered a loan worth Shs 79.2bn at an interest rate of CBR plus 5 percent margin but that BoU wanted only third-party properties as security and rejected the branches. He added that on October 19, 2016, Crane Bank responded to BOU and requested for a period of 5 years within which to pay the loan. The bank also requested to be availed the loan in dollars and at a rate of 2% as well as a waiver on the marginal interest since a high-interest rate would deepen the crisis. However, the Central Bank proceeded to take over the management of CBL on the 19th October 19, 2016, at 11:49 pm. “It is worth noting that BoU gave DFCU an interest-free loan, however, it rejected the CBL’s request for the same loan facility three months earlier,” Mr Biribonwa told COSASE. Mr. Ruparelia requested that the committee prevails over BoU and cause for compensation given the way the closure was handled. “Bank of Uganda should return the bad book (written/provisioned loan) that is being illegally collected by DFCU, which is valued at Shs 570bn. The bad book was paid for by the shareholders capital and therefore belongs to the shareholders,” Mr Ruparelia said. The city tycoon requested that BoU returns all the money that the shareholders advanced to CBL as shareholder loans. “Prior to the takeover, the shareholders lent CBL USD 8m and after take-over, the shareholders remitted USD 15.5m to BOU. The total amount is USD 23.5m. The purpose for which this money was advanced was frustrated by BoU and therefore BoU has no basis to keep it,” he said. He has also called for a market valuation of the assets and liabilities that were sold to DFCU since to date, no one knows the list and value of the assets and liabilities sold to DFCU. Sudhir also requested that the receivership be terminated to avoid a scenario where Crane Bank remains in perpetuity receivership like Greenland Bank and that the company should be returned to its shareholders. 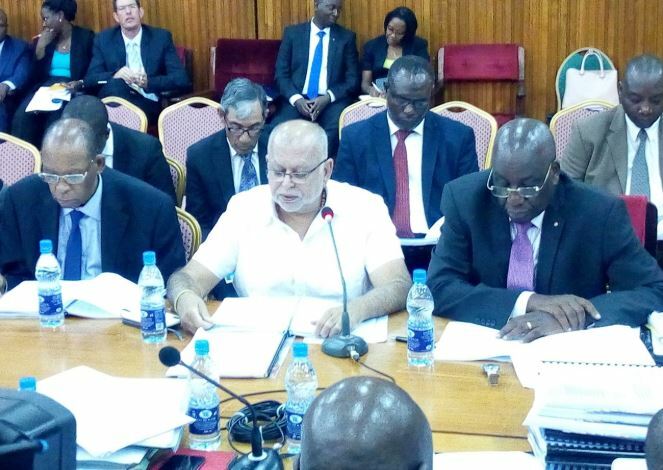 But after a raft of evidence before the committee, it is understood that Mr Rupareria is more sinned against after the central bank sought to blame him for the problems leading up to the closure of the bank, after testimonies before the Parliamentary committee indicated a more rotten system at BoU.